Safe driving not only ensure that you get from point A to point B in one piece, it can also help save you some money at the gas pump. Accelerate slowly:Your morning commute is not a drag race. The harder you press on the accelerator, the faster you will run out of fuel. Slow down gradually: Braking itself does not use up gas, but the fact that heavy braking is needed indicates that you could have let your foot off the accelerator sooner. Additionally, if you do not rush up to a red light, it may turn green before you reach it — allowing you to roll through without stopping or having to accelerate from a standstill. Don’t speed: Generally speaking, cars tend to get better mileage when driven at lower speeds. They also tend to not get expensive speeding tickets, which saves you even more money. Don’t worry about warm-ups: Any time your car is sitting and idling, it is getting zero miles per gallon. Your car does not need to warm up before hitting the road. Don’t carry unnecessary weight: Each additional pound the engine has to move requires more fuel. So carry heavy tools and supplies only if you are actually going to be using them that day. Keep the windows up:Running the air conditioner does affect gas mileage. But the increased air resistance that comes from driving with the windows down hurts your mileage more than the A/C. Keep your car maintained: The better condition your car is in, the better your gas mileage. Having clean filters, good spark plugs and the correct tire pressure can all contribute to getting the best fuel economy possible from your car. Drivers are increasingly interested in safety features when they’re car shopping. Although the technology is constantly advancing, you can still have quite sophisticated safety features when you’re getting a used car, as long as you know what to look for. Electronic stability control: Electronic stability control is a computerized system designed to help you stay in control of your car. It makes adjustments to the speed of each wheel (usually by applying anti-lock brakes) to prevent skidding during a sharp turn and reduce the risk of a rollover. Studies have shown that electronic stability control cuts the risk of having a fatal accident by one-third. Collision avoidance systems: These systems use sensors to detect potential accidents before they happen. They usually have features such as blind-spot monitoring to warn drivers of hazards. They may also actively take control of a car to prevent a collision— by applying the brakes or using electronic stability control to steer the car. Side curtain air bags: Side-curtain air bags deploy from the car’s ceiling, next to the doors and extend downward to cover the side windows. They provide a cushion for your head and serve to keep you in the car and glass and other debris out. Air-bag seat sensors: Some air bag systems can detect whether there is a child in the passenger seat, where the seat is in relation to the dash and whether the seat belts are buckled. They then deploy differently to provide the best protection for the seats’ occupants. Smart seat belts: Safety belts are not new, but there are some newer features on some models. Look for belts with pretensioners, force limiters and adjustable upper-shoulder-strap anchors. When you’re getting a used car, you can often find these safety features on late-model lease vehicles. 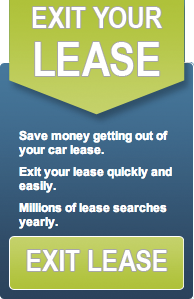 To learn more about getting a used car by taking over a short-term car lease, contact us at Swapalease. We’ll be happy to help. 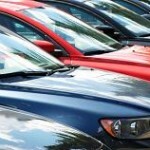 The automotive industry has boomed in the last few years bringing in a record number of sales. With the rise in auto sales, it is no surprise that consumers are feeling more confident in the economy and willing to spend more money. But car shoppers should be wary of the cost of a new vehicle and how it will affect their financial future.